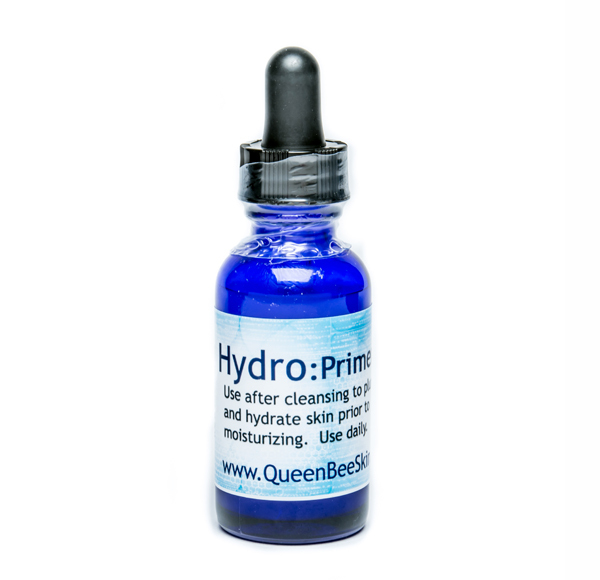 We encountered our first problem last month with our very popular Hydro: Primer hyaluronic acid serum. It turned back into a watery state after bottling. We didn’t know there was a problem until a customer alerted us. We pulled all the inventory and made a fresh batch. Sent out replacements to several customers and week later, again… it was melting! We are so sorry if you were one of the customers that experienced this problem. It is still perfectly safe and it works the same. The texture though is not as appealing as it went from a kind a creamy viscose gel to what feels like plain water. We completed several batches and had thought it was fresh lemon essential oil which can be very active. We made a total of four batches that melted, but most of it never went into bottles. We think this “melted” product went to a total of only about 20 customers. After some more testing, it turns out the preservative we use called Leucadal was probably the cause. They made another version called “leucadal SF” that is from radishes and was probably the cause of the “melting”. We had ordered both not realizing that there a difference in their formulations that would alter our recipes and the jars look almost identical. The manufacturer of the hyaluronic acid is going to do some further tests for us to confirm, but we spent most of the day Monday with them going through our exact recipe etc. As a result, we have also changed some internal systems for how we track different batches/lots of products made to make investigation easier in the future and to ensure that we are always sending our customers the best products we can make. We have slightly changed the recipe/formula to include a tiny amount of methylcellulose which is plant fibers. It is often sold as fiber supplement to eat. Our is vegan and we use it in many other formulations. The replacement product will probably be ready to ship next week. We just want to watch it in the bottles to ensure we don’t have more problems. Thank you so much for your patience and communication while we worked through this. We take it very seriously. If there is anything we can do to “make things right” please just ask! We have lots of plastic sprayer bottles and will happily pop one in the mail. Because of the watery texture, it sprays without clogging perfectly. This will let you spray away on arms and decollete for great glowing skin for the holidays. Plus, we now have our newer product called Vivify shipping. It is the same key ingredient, but a smaller molecular weight of sodium hyaluronate which helps it penetrate faster and deeper. You can have this new product at no charge or a replacement. All you need to do is shoot us an email or text with your email and shipping information and we will get both a sprayer and replacement of either Hydro Primer or Vivify out pronto tonto! Just make sure we know which one you would like. Again, we know you trust us with your skin and hope that this helps answers questions. You are welcome to contact the Queen directly if you have questions or concerns. Problems happen with any business, but it how we respond that helps us earn your loyalty. So we hope this message will encourage you to communicate with us and let us take care of you. Again, we apologize for the problem. 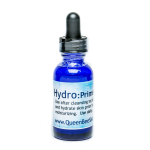 You won’t be able to order Hydro Primer from our website until next week. Once we can produce enough, we will put it on sale to encourage you to get a new fresh batch of this skin plumping serum. Queen Bee Skin Care is an organic skin care company that formulates and manufactures products in Pagosa Springs, Colorado. They have been selling specialty skin care items online for years, some of which have been featured in the Denver Post and Dr Oz’s popular daytime TV Show. Specializing in botanicals packed with phyto-nutrients that nourish the skin and spirit! You can find Queen Bee on facebook too! To purchase your favorite organic skin care items, you can shop online at www.QueenBeeSkin.com or give us a buzz at 970-316-buzz.